Quite a few people find the situation, where you have to deal with tenants who turn your hair grey before you hit 30, familiar. Ajujaht`s team SecureBadger is another battle unit entering the gameboard of tenants and landlords to create order. With their proprietary innovative background check, SecureBadger wants to increase trust and transparency in tenancy. 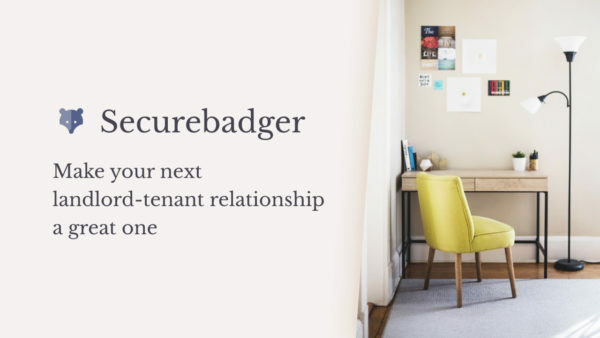 Team Leader Teele Annus tells us more about why, how and what SecureBadger do to make the rental market a safer place. Without giving away your business secrets – how do you do background checks in addition to collecting information from public databases? Do you conclude agreements with banks? Make calculations based on the Commercial Register? We primarily rely on publicly available information. In addition, we have our good partnerCreditinfo Eesti, which provides us information about people`s payment defaults. We are about to conclude an agreement with Väärtpaberikeskus (Central Securities Depository), where we can make inquiries about pension payments, which can, in turn, be used to calculate last six months` average official income (or lack thereof). We can only make these inquiries with consent from the potential tenant, which we ask for during the process. Also, the person looking for a rental apartment can identify themselves in our environment with their social media accounts (Facebook, Linkedin, Google Account) and this allows us to analyse the information they have published on their profile. During the process, the potential tenant will fill in a form with general information. We can compare the information provided in the form with other sources and raise red flags if there are significant differences between the form and information retrieved elsewhere. This indicates to the landlord that the tenant has tried to embellish their profile and that should in itself already be a risk indicator. Different research has shown that in case of post-payment and consumer loans, people who submit information at the time of application that contradicts other sources, are the ones who become indebted most frequently. What kind of advantage does machine-learning provide in doing background checks? Machine-learning makes it possible to analyse untraditional data sources like photos or information written in open text. For example, official notifications, court rulings, newspaper articles. This allows us to highlight the riskier pieces of information to landlords. For example – if somebody on social media posts a warning that a specific tenant was very problematic or if the person has lots of photos with pets but claims on their rent application that they have no pets. Machine-learning also makes it possible to use a large set of data with small information value to the maximum. For example, if a potential tenant from a foreign country claims to currently be working in London and will move to Estonia to work in some technology company as a Developer, but based on the IP address, the location is Sarajevo, the operation system they use is Windows XP and the browser s IE 6. The probability is high that someone working as a Software Developer would not use Windows XP nor Internet Explorer. Such facts that carry little value on their own, can when looked at together, indicate intentional provision of false information. In the end, it is always the owner of the rental property who makes the final decision. We can only highlight the facts filtered from a large set of data by the system. Do you also perform background checks on landlords? If yes/no, then why? At the moment, we are focusing on checking the background of tenants – this issue is more acute in Estonia. It is often complicated for tenants to prove their credibility and doing the background check takes lots of energy from landlords who have to collect data from several information sources to make a decision. What have been the biggest obstacles in launching the service? It has been challenging to integrate different data sources and to design an end product which is user-friendly and simple to comprehend but also provides a detailed enough overview of the potential tenant`s credibility. How much is your service already used? The background check service is currently being tested with several partners but the service will go into public use by end of April at the latest. Right now, it is possible to participate in product design, that is all ideas on what the background check report should entail are welcome. Where do you want to expand to? After we have a firm grasp on Estonia, then the first new market will be Finland, because many Finns work in Estonia and vice versa. In the future, we plan to expand to other European countries as well, because a similar solution is currently available only in Great Britain and the US. What have you learned or gained from Ajujaht so far? Ajujaht has given us more motivation and inspiration, the opportunity to exchange ideas with other start-ups and many trainings to better implement our idea. We have learned that you have to push through many doors and windows, because starting a company and designing a product and launching it is not an easy process. Making contacts and spreading your idea actively is a must. How was the SecureBadger team formed? We first met at a SEB Garage48 hackathon, where we formed a team and came second in several competitions but were recognised as the most energetic team. From then on, the four founders have continued to work as team members. Which superhero would you compare yourselves to? Ironman. We use high-tech to make the world a better place. In an ideal world, all tenants – independent of nationality, former place of residence or other restrictions – will be able to prove that they are credible. 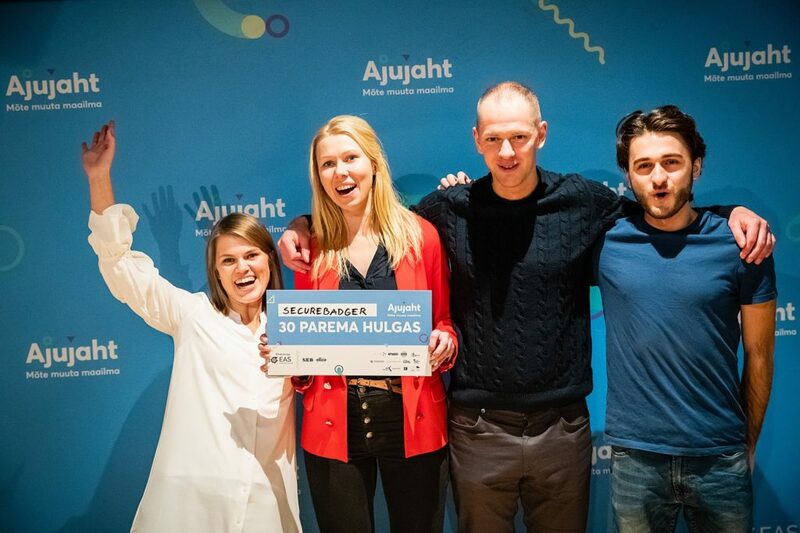 Ajujaht is Estonia’s largest business idea competition. Ajujaht was established by Enterprise Estonia, partner SEB and main sponsor Elisa. 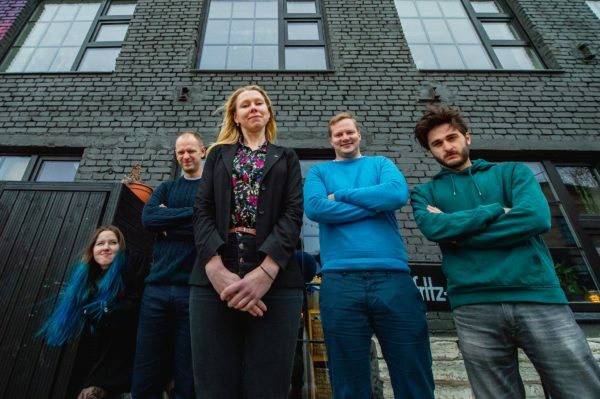 In addition to the aforementioned, Ajujaht is supported by Law Office Triniti, Estonian Employers` Confederation, Estonian Chamber of Agriculture, Harku Municipality, City of Pärnu, Saue Municipality, City of Tallinn, City of Tartu. Ajujaht is funded by Enterprise Estonia`s European Regional Development Fund finances. Ajujaht is implemented by Civitta Eesti AS, Kommunikatsioonibüroo JLP and Tehnopol.